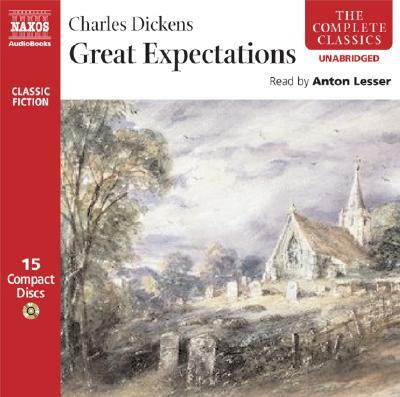 Great Expectations (Complete Classics) (Compact Disc) | Broadside Bookshop, Inc.
Narrated in the first person, Great Expectations tells the story of Philip Pirrip (known as Pip) from his disadvantaged start as an orphan in the Kent marshes to the improvement in his position following an anonymous allowance. Pip moves to London where, only after many trials, does he learn humility and the value of loyalty. Key Dickens characters abound ? the convict Magwitch, the eccentric Miss Havisham and the pompous Pumblechook. Anton Lesser's abridged recording of this text won awards, and his new unabridged recording also deserves similar praise for its remarkably vivid characterisations.